Laurel (Pickler), a Chicago-based business executive travels to Memphis to secure one of the city’s oldest family-owned banks. While in Memphis, Laurel reunites with old flame Clay (Brown), a local music promoter with loftier aspirations. Though Laurel tries to keep her eye on the prize of the business acquisition, Clay is very persuasive reminding her of the days when they were a performing duo on the brink of stardom. Now Laurel’s focus turns to the home of the Blues and dreams of making music again. 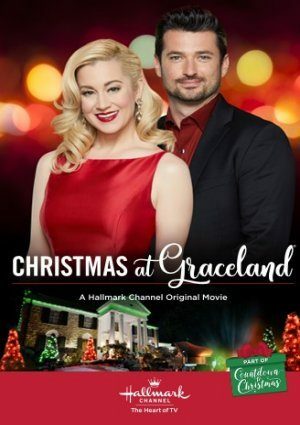 will Christmas at graceland ever be on dvd. Maybe what they need is a CLASSIC MOVIE channel, where they can show the older movies. I like the idea of NEW movies each year….I get BORED with over one repeats all the time. Last December 2017 The Christmas Card was not shown the last 3 weeks of Christmas movies.This year there are many more new movies to be blitzed in Christmas viewing.As a viewer I am not going to miss treasured Hallmark movies of prior years to be deluged with bunch of new movies.Either find a way to put classics like the Christmas Card on throughout the holiday season or I will watch other programs.This new movie blitz is ridiculous!